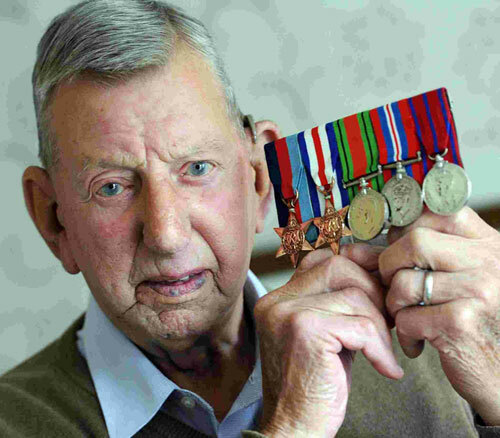 World War Two veteran Reg Downes, 91, from Hoddesden in Hertfordshire, recently made a commemorative visit to Salerno, Italy, thanks to funding from the Heroes Return programme. 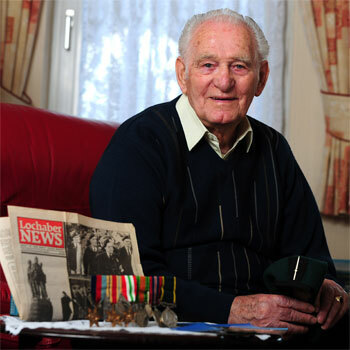 Reg joined the Territorial Army in 1938. 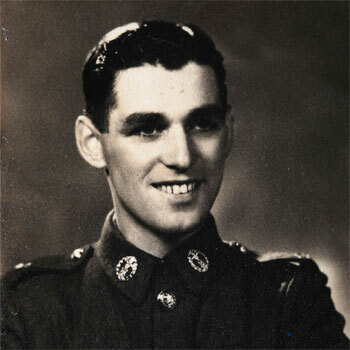 Called up at the outbreak of war he joined the Middlesex Regiment, aged just 17 before volunteering in the Army Commandos. In 1941 he was posted up to Achnacarry near Fort William where he underwent a tough six-week intensive training course on fitness, weapons training, map reading, climbing, and demolitions operations. Training completed and at rank of Private, Reg was assigned to the Motor Transport section No2 Army Commando under the command of Lt-Colonel Jack Churchill, distant relative of Winston Churchill. Reg was posted out to North Africa and from there to Sicily where he saw his first action as the troop landed near the town of Scaletta in advance of Monty’s Eighth Army. Here they engaged the German rearguard. After success in Sicily the invasion of Italy followed on 3rd September 1943 when No. 2 Commando landed at Vietri sul Mare, in Salerno in the early hours of the morning. The troop’s first task was to take a German gun battery but after finding it undefended they moved on to secure the town of Vietri where they set up a headquarters and opened up the beach for allied landings. Supported by the Royal Marine Commandos, Reg and comrades moved on to take a German observation post outside the town of La Molina which controlled a pass leading down to the Salerno beach-head. Despite heavy German opposition they eventually captured the post taking 42 prisoners including a mortar squad. The commando units went on to face fierce resistance from crack German troops in Salerno with 367 killed, wounded or missing out of the 738 who had taken part in the landings. In January 1944 Reg was posted to the Yugoslavian island of Vis. With half the unit depleted they carried out assaults on German garrisons, and raids on shipping. The troop saw further action in Albania in raids at Himare and at Sarande where they were heavily outnumbered and pinned down by superior German forces until support units arrived, and the town was captured cutting off the German garrison in Corfu which later . surrendered to the Commandos in November 1944.